A PAX East 2011 panel of former independent studio employees revealed how working with Activision has largely been like a dream. Activision and CEO Bobby Kotick get a pretty bad rap from the gaming community and beyond, but according to a PAX East 2011 panel of one-time independent developers now under the banner of Activision, the hate is undeserved. Peter Della Penna of High Moon Studios, Jennifier O'Neil of Vicarious Visions, and Eric Biessman of Raven Software all had nothing but positive things to say about Activision, relating their experiences with the publisher in various aspects of the game development process. 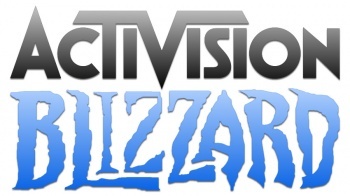 As it turns out, Activision isn't involved in every little decision its studios make. There's a formalized process for checking in during milestones, having talks about financial issues, and dealing with legal stuff, but the panel said that Activision isn't obsessively breathing down their necks. Additionally, Activision does not force game licenses on developers. It tries to find a good fit and discusses the license with a studio to see how it feels. Della Penna revealed that he's had to ask Activision "what it's smoking" during some of these conversations, candidly impressing that these are decisions made through discussion, not mandates from up on high. For example, High Moon are huge Transformers fans, so it was natural for Activision to deposit the bots at the studio so it could make Transformers: War for Cybertron. In fact, the panel was more outspoken on the pitfalls of working with licensors rather than a publisher like Activision. O'Neil said that a licensor trying to drive a game's vision can get "sticky," because it doesn't necessarily understand how game development works. On the other hand, Activision does understand this process, and typically keeps its hands out of the parts of a studio where they aren't needed. If a studio like High Moon wants to have surfboards at the ready for hard working developers to take a surf break during lunch, and this becomes part of a studio's culture, Activision is cool with it if the studio is hitting milestones properly. While the panel emphasized that being independent and working for Activision are very different states, each member appeared to believe that being under a massive publisher's umbrella was more helpful. Success as an independent is very rewarding, but also very challenging to achieve. Biessman related his experience in the earlier days of Raven when employees were paid with credit cards, didn't have enough computers, and not even enough chairs. Now, Activision gives Raven chairs. Part of Activision's reputation troubles come from the mouth of Bobby Kotick, but the panel believes many of his quotes are taken out of context. For example, Kotick was once quoted as saying he wanted to "take the fun out of videogames." This was a statement made at an investors conference, and in context Kotick meant that he wanted to make his company more financially responsible. This didn't mean the end of lunchtime surf breaks. For those that dislike Activision because of things heard in the press, the situation couldn't seem to be more different on the inside. Not that Activision, or any other publisher is perfect, but at least three internal studios appear to be having a very positive experience.